The above picture shows what can happen when a sinkhole forms in the channel of a creek. This photo is taken facing in what use to be the upstream direction. If you look carefully, you can tell that the water is actually flowing into the fracture; the sinkhole has captured the flow of the creek and caused a strech of it to flow backwards. Sinkholes form in a variety of ways, but this one evidently was the result of sudden collapse of bedrock into a subterranean cave that was forming below the land surface. You can’t see the sinkhole itself because it’s just inside of the dark opening in the rock. If the photographer were to turn around and snap a picture in the downstream direction, you would see that the stream bed is dry just downstream. In geologic terms this is called a disappearing stream. 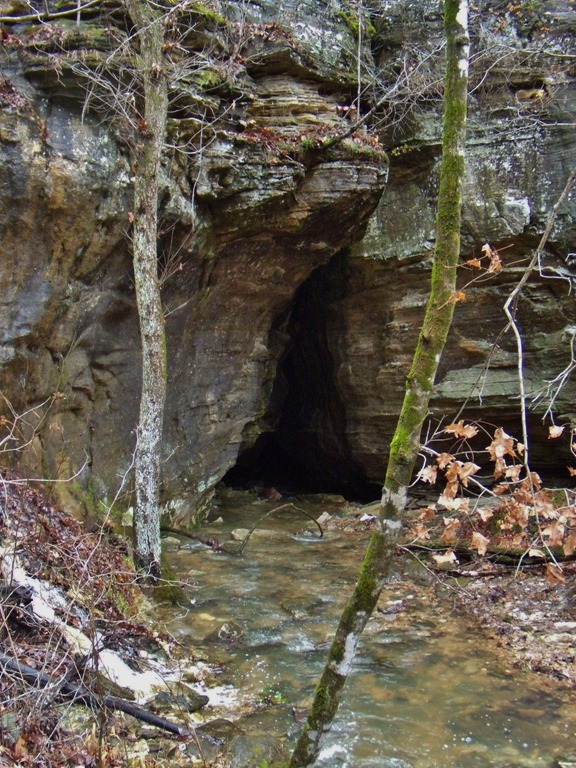 This entry was posted in #geoblog, GeoPic of the Week, Sedimentary Features and tagged cave, disappearing stream, karst, sedimentary rock, sinkhole on May 29, 2015 by argeology. 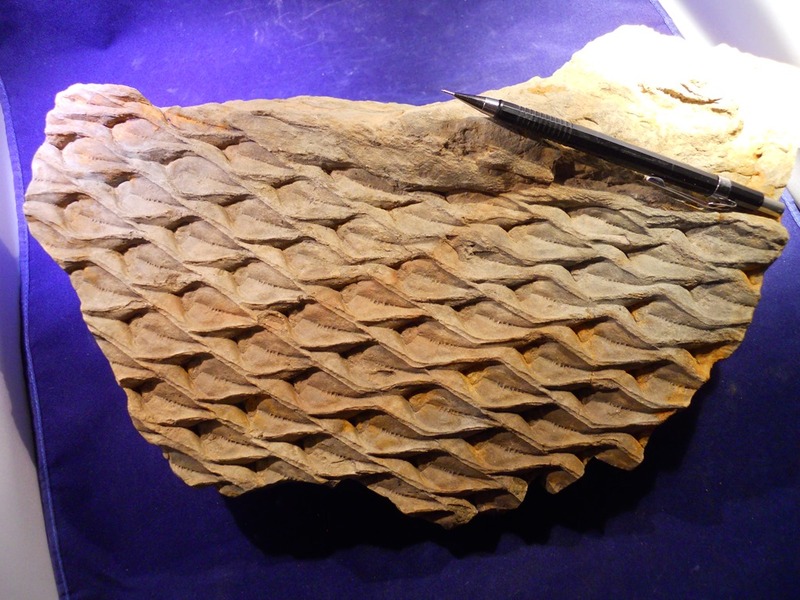 This entry was posted in GeoPic of the Week, More Views and tagged Arkansas, Carboniferous, Geology, Imo Formation, Lepidodendron, Mississippian, sandstone on May 22, 2015 by argeology. Pictured here is not an alligator or lizard skin fossil, for which these are commonly mistaken. It’s an impression of the trunk of a now extinct tree-sized plant, known as a Lepidodendron. It was collected from a stream bed in north Arkansas. The diamond-shaped patterns are sockets where leaves once attached to the trunk. The holes that are just visible within the “diamonds”, are pores through which the plant inhaled carbon dioxide. Lepidodendron were common in Arkansas during the Carboniferous period (359-299 million years ago). The Carboniferous (or coal-bearing) period is known for lush vegetation. Many of the earth’s important coal deposits were formed from the remains of the rich forests that dominated the land during that time. 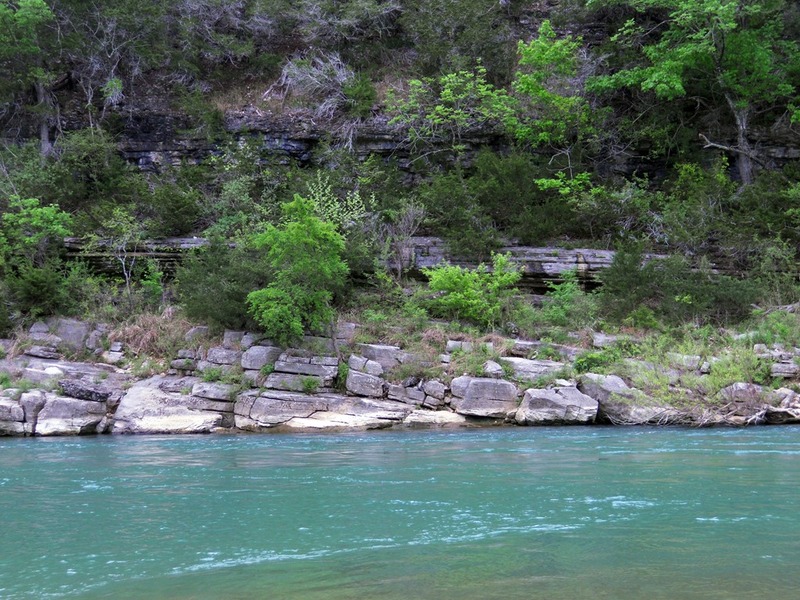 This entry was posted in #geoblog, GeoPic of the Week, Sedimentary Features and tagged Arkansas, Carboniferous, Geology, Imo Formation, Lepidodendron, Mississippian, sandstone on May 22, 2015 by argeology. This is a picture of several tools, both modern and ancient, manufactured from the famous Arkansas Novaculite. Novaculite is an extremely hard sedimentary rock made almost purely of silica (99.9%). It is similar to chert except that it is harder and even more silica-rich; it is possible that novaculite is formed from the metamorphosis of chert, though its genesis is uncertain. 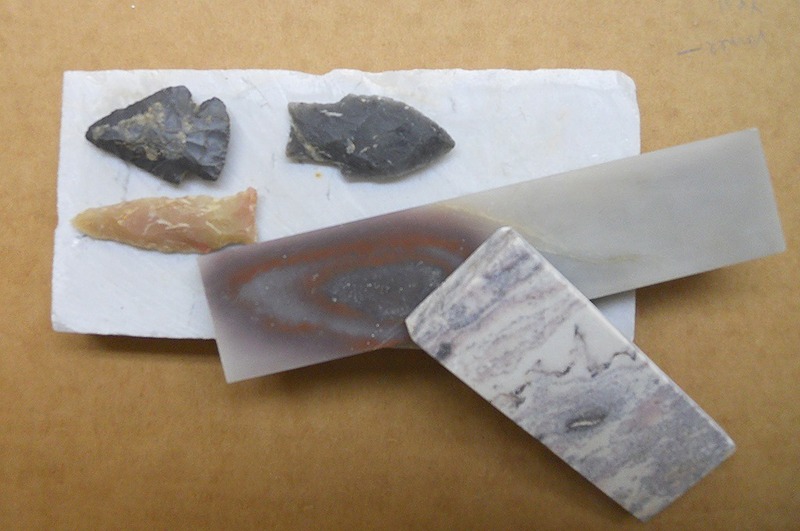 Novaculite (from Latin, meaning razor stone) has been prized since prehistoric times as a material for making stone tools like knives and arrowheads. Since at least the early 1800s novaculite has been utilized as an abrasive material for sharpening knives and other tools. The manufacture of whetstones, or sharpening stones, from novaculite continues to be a thriving business in the Hot Springs, Arkansas area today. 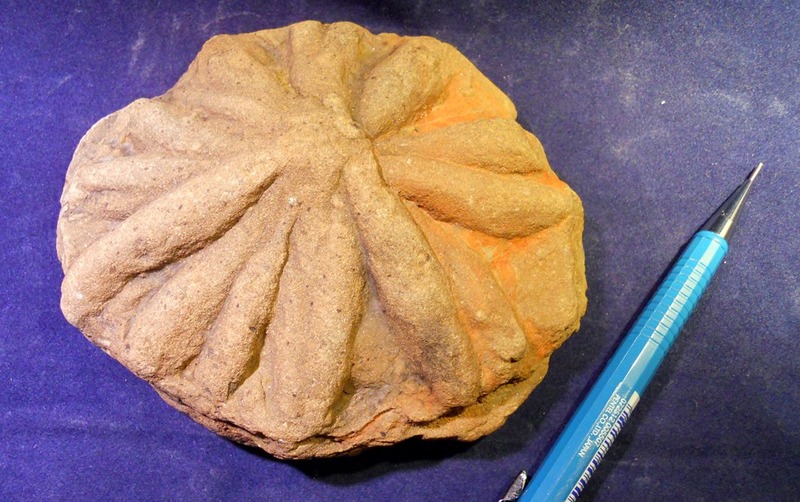 This entry was posted in GeoPic of the Week on May 8, 2015 by argeology.